Single-artist displays are a mainstay of art fairs today, with many dealers keen to show their curatorial chops through comprehensive solo presentations. But two-person exhibitions are growing in popularity, with 11 duo exhibitions on show for the 45th edition of the Foire internationale d’art contemporain (Fiac) at the Grand Palais in Paris. Paris-based Galerie Allen is presenting a “sculptural conversation” between Calais-born Maurice Blaussyld and New York-based Daniel Turner. “Each approach brings its own set of conditions to consider. Solos can be very precise and informative, while a duo can be just as investigative,” the gallery’s director Joseph Allen Shea says. Price points for both artists range from €3,500 to €20,000. “This is something we do regularly,” says Sibylle Friche, the director of the Chicago-based Document gallery, which is pairing the Paris-born artist Julien Creuzet with the US photographer Paul Mpagi Sepuya. “We like to establish conversations between artists from our roster, whether they interact from a historical or material standpoint or share similar sociopolitical concerns,” she says. Sepuya’s archival pigment prints will be available at Fiac, including Dark Cloth (2017) for $6,300 and Darkroom Model Study (2017) for $9,000. Creuzet’s prices range from $3,000 to $12,000. According to Friche, the challenge is to narrow down the selection of works so the booth doesn’t look overcrowded. Uniting Russian trailblazers from different eras is the remit of London’s Richard Saltoun gallery, which is bringing together works by Alexander Brodsky, an architect working in the late 1970s in Moscow, and early Modernist pioneers of the 20th-century. “Brodsky’s work is conceptual because none of the architecture was meant to be realised; it was seen as a protest against state-sponsored architecture,” the gallery’s founder Richard Saltoun says. He is pairing Brodsky’s sculptures, drawings and etchings with photographs from the revolutionary 1920s Vkhutemas School in Moscow, often called the “Soviet Bauhaus”. All the works on display are priced between €2,000 and €150,000. 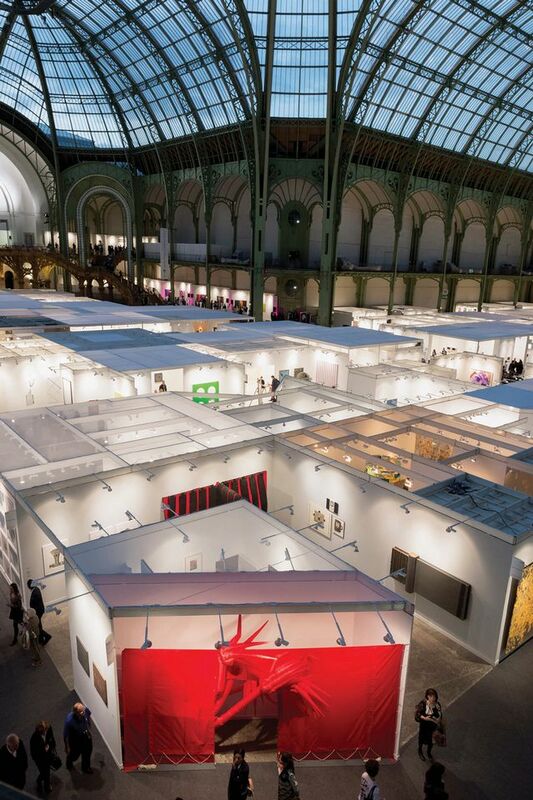 Fiac features 195 dealers this year, with 33 newcomers including those that have returned after a hiatus. Significant participants fresh to the fair include Paul Kasmin of New York and London’s Arcadia Missa. Paris remains a draw for US dealers, which number 38 this year, compared with 36 in 2017. Ten Asian dealers, including five Chinese galleries (with Shanghai’s Antenna Space among them), are also hoping to make in-roads into the European market.